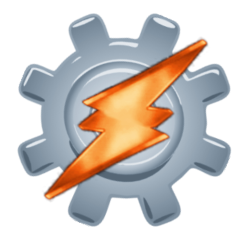 Some call Tasker the most versatile application ever created for Android, and I'm inclined to side with them. The app can automate hundreds of actions and bundle them together in powerful scripts that do exactly what you want them to do (see our Tasker review). Want to silence your phone at night and then restore the ringer to a predefined volume in the morning? No problem. How about popping up a menu of music apps when you plug in your headphones? You got it. Tasker reads your calendar creating a home screen widget via Minimalistic Text. Reacting to a future ‘meeting’ entry, it queries Google to find out the route information and journey time. Using the journey time information and meeting start time, it calculates what time you will have to leave and loads Sav Nav with the preselected route 5 minutes before you are due to depart. I'm impressed. How about you? The project is definitely not for the faint of heart, as it contains 7 individual tasks and a bunch of workarounds right now, so it is more of a [working] proof of concept. However, it can serve as a great inspirational how-to guide for those of you looking to create your own scripts and gauge the power of Tasker. For further instructions, proceed to this xda forum thread and be prepared to clear out your schedule for the day - it may take a while to recreate what I can only describe as the first stage of Skynet.